Willy’s Plumbing was established in 1979 by the company founder Willy Phillips. As a young kid growing up in Culver City, Ca, he worked alongside his uncles and grandfather as an plumber apprentice. When he was 18 years old Willy had developed the experience and knowledge of the trade to start his own company, Willy’s Plumbing. The company started as a small family business and has continued to be a family owned and operated company for 40+ years. Going green? Doing a remodel? or looking to switch to a tankless water heater? Call to ask about our FREE ESTIMATES. Our estimates are well priced and competitive. We are licensed, bonded and ensured to assure the highest quality of work and peace of mind. Willy's Plumbing specializes in re-pipes and repairs. Whether it's a simple repair, or a large re-pipe. Willy's Plumbing, Inc. has very competitive prices. Call us today for a free estimate. We offer 24/7 emergency service. All of our technicians are licensed and ensured along with fully stocked vans ready for any job they may encounter. 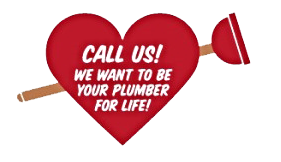 For any unexpected plumbing emergency please call 1(800)294-5597 to have our technicians come out.